The gents from Irish manband Boyzone have always seemingly had a penchant for popping out a cheeky cover or two. After all, their debut single way back in 1994 was a cover of the Four Seasons’ classic ‘Working My Way Back To You’. Then came a cover of The Osmonds’ ‘Love Me For A Reason’ and later, covers of Cat Stevens’ ‘Father & Son’, the Bee Gees’ ‘Words’, Tracy Chapman’s ‘Baby Can I Hold You’, John Michael Montgomery’s ‘I Love The Way You Love Me’, Billy Ocean’s ‘When The Going Gets Tough, The Tough Get Going’, Anne Murray’s ‘You Needed Me’… we’re sure you get the point. So in that respect, it shouldn’t come as a surprise that the boys have decided that their sixth studio album ought to be made up entirely of covers. 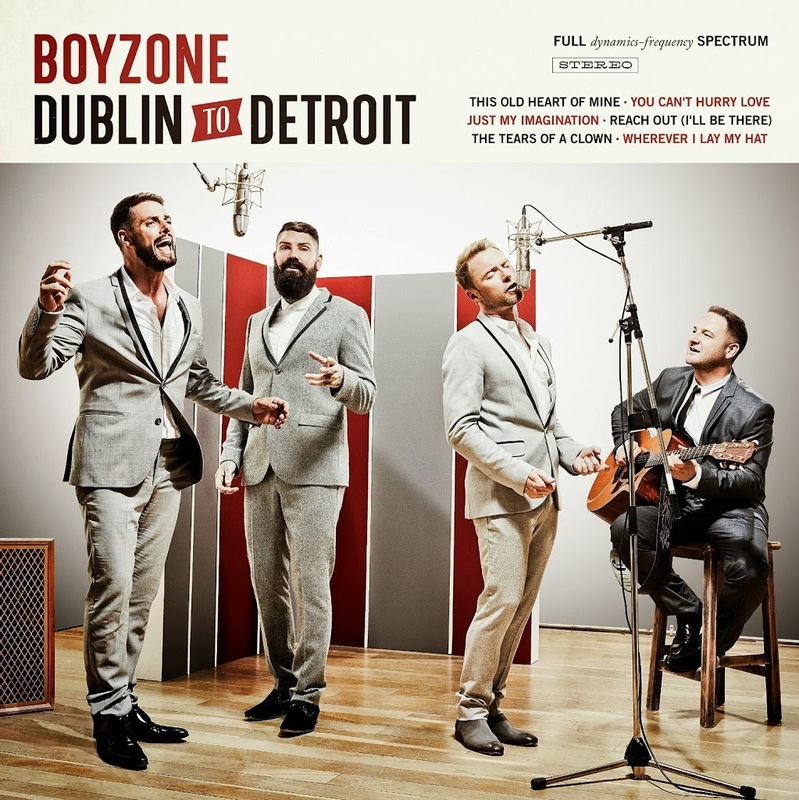 Sadly, however, ‘Dublin To Detroit’ seems a little disingenuous to us. And it seems that we’re not the only ones who think so; it’s their lowest charting album in both the UK and Ireland ever. Just a little glance at the clip to their cover of Jimmy Ruffin’s ‘What Becomes Of The Broken Hearted’ (below) in which the boys stand behind two microphones and you’ll get the general gist that this entire project feels less like a genuine crack at the charts and more like a contractual obligation.